Plenty of books have been written on Indira Gandhi, one of the most powerful and ambitious politicians modern India has witnessed. 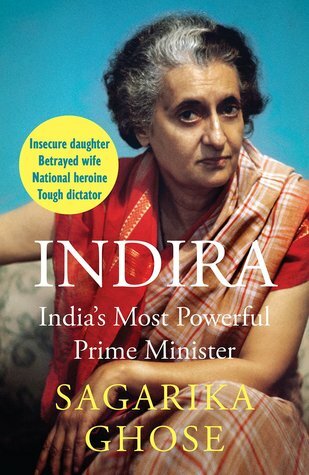 Veteran journalist, Sagarika Ghose in her attempt at another biography scripts an interesting tale of the former Prime Minister. Born to an illustrious family, Indira Gandhi no doubt had an eventful life and an eventful career as a politician. The book comes across a well researched,detailed text on Mrs. Gandhi's time and life. The chapters have an addition in forms of open letters kinda concept wherein the author pens a letter to the late leader, perhaps in hopes of better questions and answers, relevant to those periods of time.